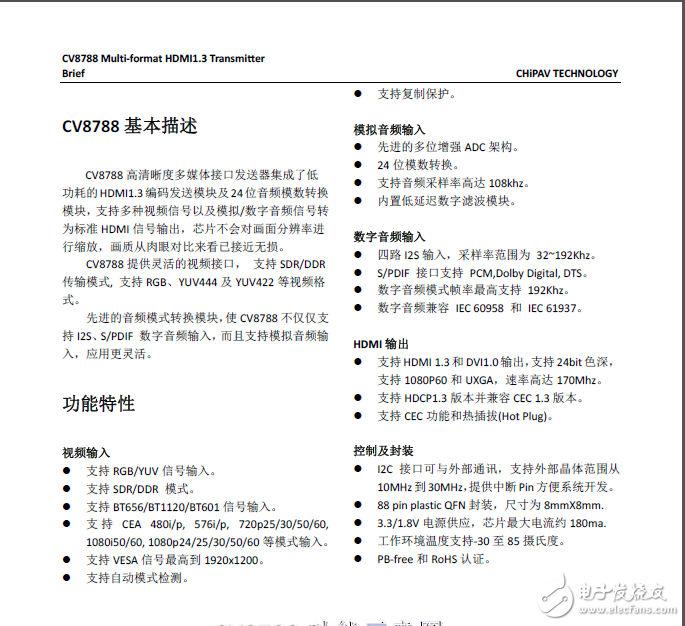 CV8788替代SIL9022A - FPGA|CPLD|ASIC论坛 - 中国电子技术论坛 - 最好最受欢迎电子论坛!  88 pin plastic QFN 封装，尺寸为8mmX8mm. GMT+8, 2019-4-20 10:54 , Processed in 0.118243 second(s), Total 40, Slave 28 queries , Memcache On.